Home > Blog > Safety Tips > What is a 72-Hour Kit? If you’ve ever lived through an emergency, you know that knowledge + preparedness = peace of mind; and a 72-hour kit is a critical component of this. Each family member should have a kit containing the essentials needed to survive for at least three days. 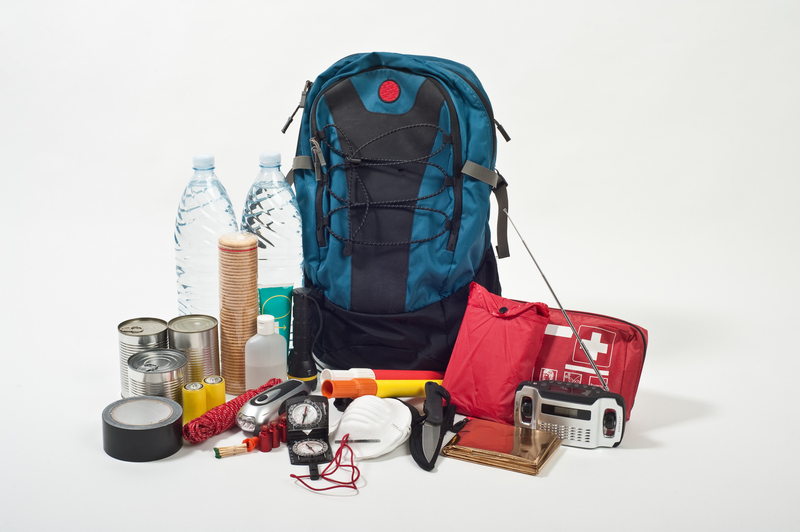 The final product should be portable so everyone can evacuate quickly during a natural disaster with their kits in tow. Here are some tips to get your 72-hour kit started. You can purchase a basic pre-filled emergency kit for each family member, or you can build one from scratch. FEMA offers lists of recommended items and additional items that could prove useful for your 72-hour kit, including food and water, tools for light and heat, first aid supplies, medication, and personal hygiene items. If you have a baby or pet, make sure to pack the supplies they need as well. Portability is the key to any practical 72-hour kit. After all, you’re most likely to need it when you have to evacuate. Selecting a waterproof container is also a good idea. Popular options include backpacks, suitcases and storage tubs with wheels. Make your decision based on the physical abilities and limitations of each family member. Even in an emergency, you still need to drink water – not to mention cook and clean with it. Six cups of water (two cups per day) is the minimum amount you should pack in your 72-hour kit. This is barely enough to get by, and even then, it’s bulky and heavy. To supplement the water in your 72-hour kit, include a way to clean water from a pond, river or stream. Your options include water purification tablets, UV purifiers, and filters. The best foods for your emergency kit require no preparation. Freeze dried food is easy – it’s lightweight, has a long shelf life and is ready to eat after adding a little water. Canned food is another good option, although bulkier and heavier. Look for pop-top chili, soup, fruits and vegetables, Vienna sausages, and tuna – or remember to pack a can opener. Other non-perishable foods suitable for a 72-hour kit include protein and granola bars, peanut butter, trail mix, and beef jerky. You can also pack a lightweight camping stove in your kit if you want the option to cook. Just remember to pack matches and fuel. It’s easy to build an emergency kit and then forget about it; but be sure to revisit it every six months to rotate out food and water, replace clothing items, update personal documents, and charge/replace batteries. Your 72-hour kit could prove lifesaving in an emergency. Once you return home, let DKI Services help you get things back to normal. Our 24-hour services cover everything from water and storm damage to mold remediation and catastrophic response. We’re your resource for disaster recovery anywhere in the United States.